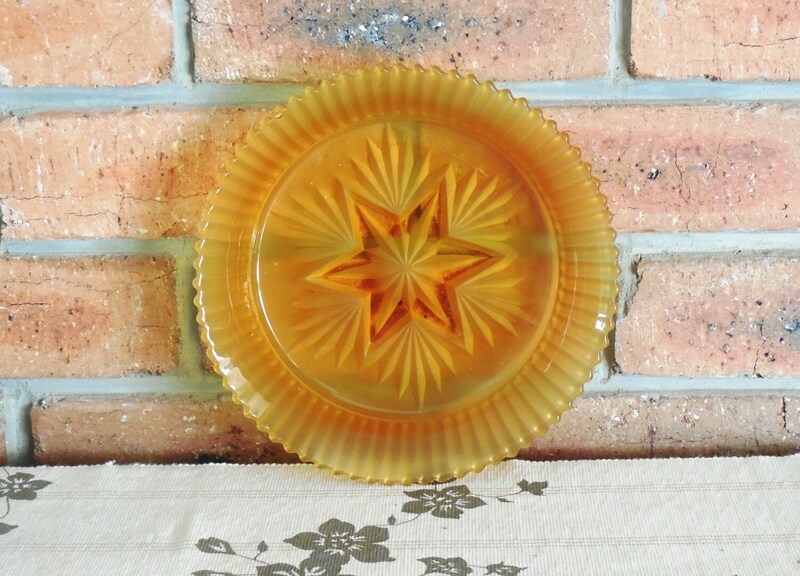 Gorgeous amber glass pie plate with impressed star in the centre, made during the 1940s and in wonderful condition – there are some very, very minor scuff marks to the base as you would expect from a 70 year old piece, but there are no cracks or chips whatsoever. 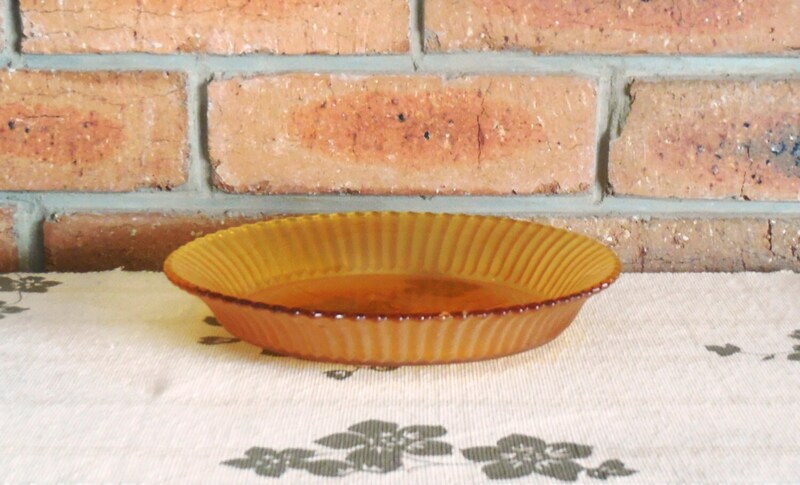 Ideal for baking anything from apple pies to quiches – or you could use it as a sweets or nuts dish at your next party! Measures 23cm across, and is just on 3.5cm deep.